The 140th Kentucky Derby is less than one week, can Danza win it? Danza fans all over the USA hope he can, but our betting experts find it to be a hard sell that Danza will even place. If you are looking for a horse that could beat all of the favorites in the Kentucky Derby, Danza might be the horse you have been seeking. Danza shocked the world by winning the Arkansas Derby at 40/1 betting odds. Danza is trained by Todd Pletcher and the horse looks like he has hit his stride as he scheduled to run in Kentucky Derby 140. When it comes to online sports betting many bettors find that the Kentucky Derby usually is the safest bet purely based on the handicapping information available for all to read online. Equibase has Danza ranked #10 out of 29,000 horses in terms of winnings. The thoroughbred has won over $600,000. Danza is owned by Eclipse Thoroughbred Partners. As far as Danza’s pedigree is concerned, the horse has connections to Street Boss, Champagne Royal and French Deputy. 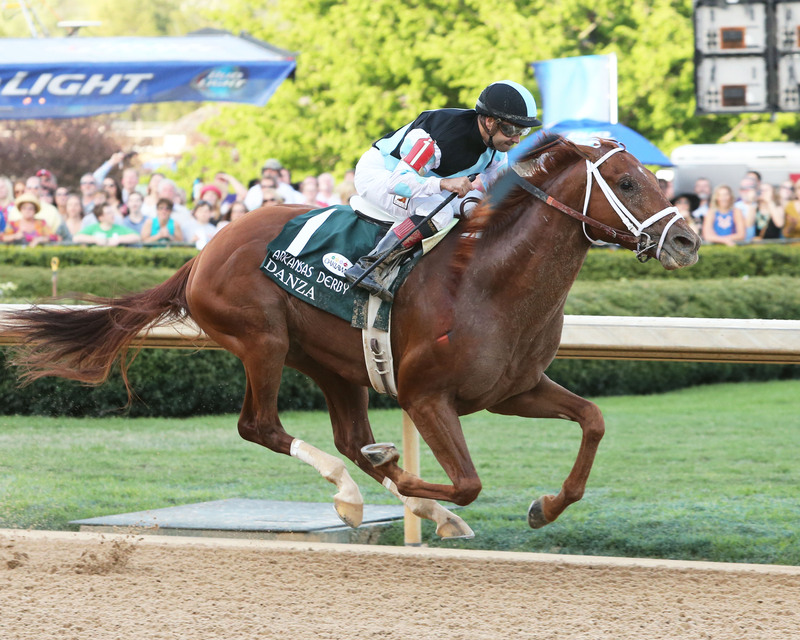 Can Danza win the Kentucky Derby 140? No one gave the thoroughbred a chance as evidences by the final betting odds at the Arkansas Derby. Danza might fly under the radar much like he did in the Arkansas Derby. The atmosphere at the Kentucky Derby as well as the elite field will be a new experience for thoroughbred regardless of their past performances. If you are seeking a horse that may give you some betting value at the window, consider betting on Danza to win, place or show at the Kentucky Derby.